The BenQ MW855UST is the ideal classroom interactive projector solution. Delivers 3500 lumens bright image with large, easy to read text and graphics with crisp shadow details and rich, accurate colors. Its ultra-short throw design can deliver 100” diagonal image from a distance of only 32”, enabling teachers to present their lessons free from projection light in their eyes, while its powerful 20W stereo output ensures lessons are clearly heard. Students will enjoy collaborative interactive learning with PointWrite pen and finger Touch optional interactive features. 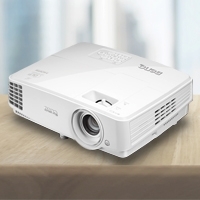 Ultra short-throw projectors enable teachers to be more effective by delivering large, bright, engaging images, free from harsh projection light in the eyes and distracting shadows. Offers additional installation flexibility by enabling installers to optically shift the image up or down up to 4% to overcome minor miscalculations during projector installation. 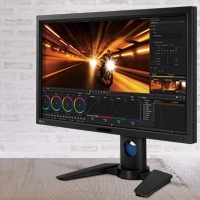 Provides peace of mind, knowing the projected image will precisely land on the screen. Designed to provide a secure, fast and easy projector installation experience, BenQ has added a number of helpful installation features into this latest generation wall mount. Easy Slide rails for fast and secure projector mounting, installation template to provide precise, easy-to-follow installation guidance and front-of-mount control knobs to provide precise final image alignment for maximum ease of installation. Keeping students involved and engaged is a central tenant of the BenQ Smart Classroom philosophy – Outfitting the MW855UST with latest PointWrite™ pen interactive technology is a great way to let multiple students simultaneously contribute. 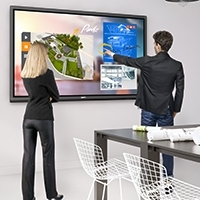 BenQ brings interactive innovation and touch solutions to a new level of performance, ease of use and control, supporting flipped learning and engaging students like never before. Teachers now can turn any flat surface into an interactive whiteboard and get up to 4 students to simultaneously collaborate using PointWrite™ pens or plain fingers. LAN Control is designed to help IT managers perform day-to-day projector maintenance and repair tasks efficiently and effectively – offering them full access and control over every projector directly from their workstations. The MW855UST offers seamless support for the Crestron and AMX LAN Control system. BenQ Dual Screen feature allows teachers to create an immersive learning experience by joining two PointWrite interactive projectors to generate an ultra-wide interactive image. This creates the opportunity for super-sized learning, helpful for teaching a variety of subjects, such as the solar system, virtual field trip around the world, or simply a great big canvas for co-creation. You don't need a big room or a lot of free ceiling space to create a big picture when you've got an ultra short-throw projector! Teachers can turn every corner into the perfect place for educational use. 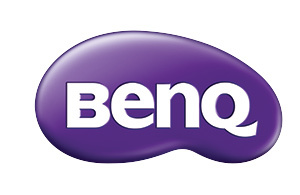 BenQ MW855UST is built with latest DLP® technology to support 3D functionlity, allowing schools to bring an immersive learning experience to their students with a simple preparation of 3D glasses and 3D content. With the support of MHL technology, teachers and students can share photos, videos, websites and even games from their Android smartphone or tablet instantly. Simply connect the smart phone or tablet to a BenQ classroom projector via an MHL cable and watch the contents mirrored on the projected screen.